To be held on February 22 to 24, 2019, Art Fair Philippines will once again bring together art connoiseurs and fans from all-over the globe. To be held in the iconic Link Carpark, the space will be a multi-level exhibition. Now in its 7th year, the fair keeps evolving to better engage visitors, especially students who will be given a special rate. To streamline everyone's viewing experience, there will be several food and beverage stalls for whenever one needs a cup of coffee, snacks, or perhaps, a glass of wine. This year, all commisioned projects will be held in one floor, which co-founder Lisa Periquet notes, "[is] where we hope visitors will get a feel of our curatorial vision." One of the bigger hits last year was the photography exhibit of the fair. 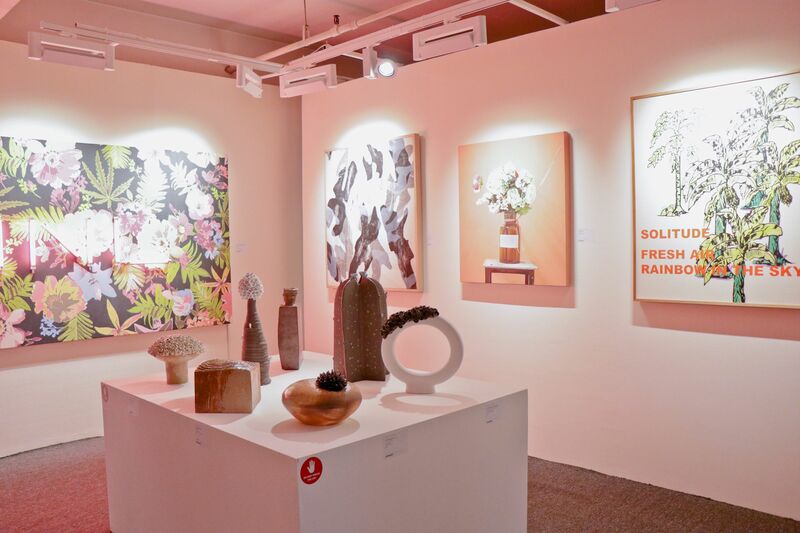 To give visitors more of what they enjoy, Art Fair PH will once again feature a section dedicated to photography collections and digital media. One to look out for is MM Yu's Subject/Object and the collaboration between Teamlab and Globe Platinum entitled, Reversible Rotation. Several local artists will be featured in the ARTFAIRPH/PROJECTS floor. One to watch out for is David Medalla's interactive piece entitled A Stitch in Time, which is presented by BPI. Among others to note are Ray Albano (known for working with Roberto Chabet and conceptual art), Mauro Malang Santos, and Ryan Villamael who will showcase an installation made out of paper entitled, Behold a City. Take time to visit more works by Oca Villamiel, Ian Fabro, Christina Quisumbing Ramilo, and Olivia D'aboville. For those who have been to the Art Fair before, you're surely familiar with the long lines by the main entrace. To make sure visitors get in the exhibit with ease, organizers have added a new entrance this year which is accessible through the third floor of the Landmark Department Store. So if you're looking to avoid the crowd, there is now an alternate option for you. 4/9 Art Fair PH Merch! Made by clothing store Artwork, Art Fair Philippines will be selling official merchandise which includes custom tote bags and shirts. Make sure to grab one as they change-up the designs every year! Official Art Fair Philippines hotel partners are Raffles & Fairmot Makati and Holiday Inn and Suites. If you're looking to stay somewhere cozy near the venue, these hotel partners will have special rates for those attending the 3-day event. This year, visitors will get to see works from beloved painter, Fernando Botero. His works feature day-to-day images from his hometown of Medellin, Colombia through his signature aesthetic of rounded and exaggerated shapes. His grandson, Felipe Botero, will also hold a talk discussing the works and influence of his grandfather in the industry. When visiting the fair, make sure you breeze through the proper and recommended etiquette for visitors. These guidelines are set to ensure everyone's viewing pleasure and ease. Although the fair itself is a 3-day affair, Art Fair PH organisers will host an extended city-wide event called 10 Days of Art. With guided tours and partner establishments, this event will begin prior the fair itself from February 15 to 24, 2019. The affair features public art, pocket events, museum exhibits, and special food promos! For schedule and updates, visit 10daysofart.com. ARTFAIRPH/TALKS will provide visitors with opportunities to deepen their exposure and appreciation for art. Held throughout the 3-day event, several seminar/ panel discussions will feature some of the prominent figures in the world of arts and culture, with topics ranging from aesthetics, creative process, and art taxation. This year, in partnership with National Bookstore, Art Fair PH welcomes art historian Kathy Glitz form the Metropolian Museum of Art in New York. A specialist on late eighteenth and nineteenth-century French art, Galitz will talk about her book, Masterpiece Paintings at The Metropolitan Museum of Art. Tickets for the fair can be purchased in advance at artfairphilippines.com. For more information, please visit the Art Fair Philippines website and follow Art Fair Philippines on Instagram (@artfairph) and Facebook. Art Fair Philippines 2019 is co-presented by Ayala Land, Bank of the Philippine Islands, Globe Platinum, and Julius Baer. The fair is also sponsored by AC Automotive, Ayala Land Premier, Make It Makati, and Don Papa. Its official hotel partners are Fairmont and Raffles Makati, and Holiday Inn and Suites.